By using a manual dyeing process on the out-of-date collections, the carpets are re-coloured with RED dye. 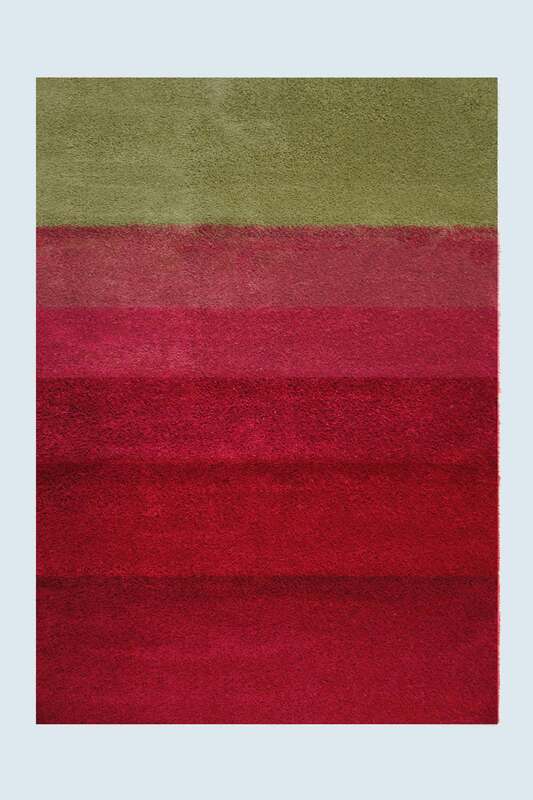 The interacting yarns and red dye produces new and unique colour shades every time, giving each rug its own identity and renewed creative life. The heavy texture helps to transform the acoustic signature of any environment, whether they're hung on a wall or spread on a floor.